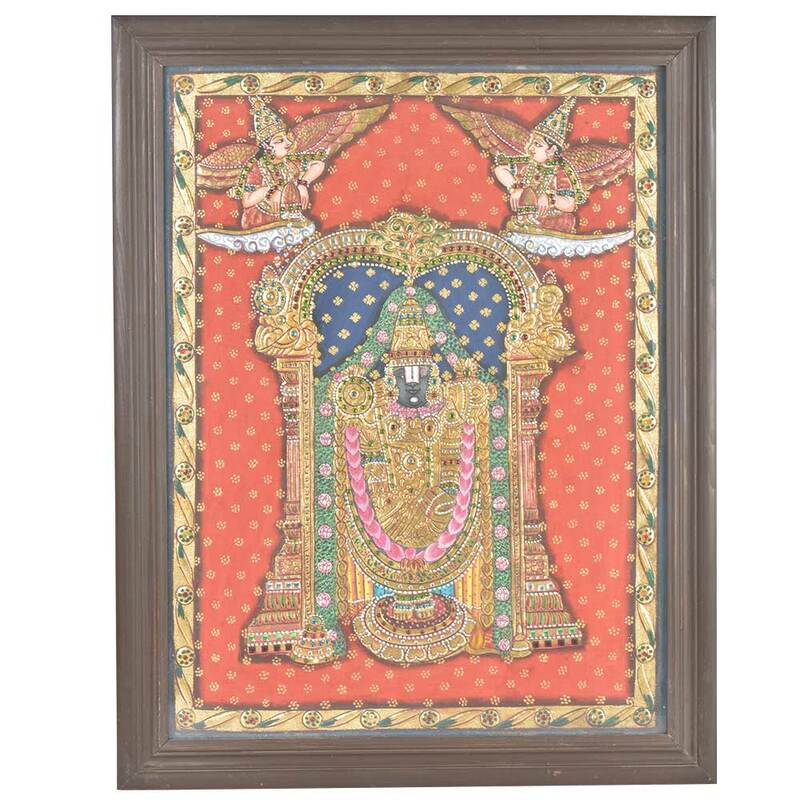 The magnificent paintings portray Lord's image has four arms, signifying the four stages that may be found in every form of development of life. The upper right arm holds Sudarsana Chakra (discus) and right arm holds Pancha-Janya (Conch). The lower right hand is in Varada hasta (boon giving) pose and lower left hand is in Katyavalambita pose, turned inwards. Enhance your home aesthetic with definite exclusive eternal feel.